In my insurance blast these few weeks, we talked about a particular trained field of mathematicians who assist in valuing the risks of insurance products, how they don’t seem to buy whole life insurance and investment linked policies. I managed to get into contact with a US investment professional David Merkel. David is a trained life actuary as well as a CFA. He current managed his own fund, Aleph Investments, and talks about investment mainly in the domain of bonds and insurance companies at The Aleph Blog. When I know that you are trained as an actuary it got me curious. They say that actuary assess the risks of insurance products to find value for consumers, at the same time evaluate the probable risks of the product. 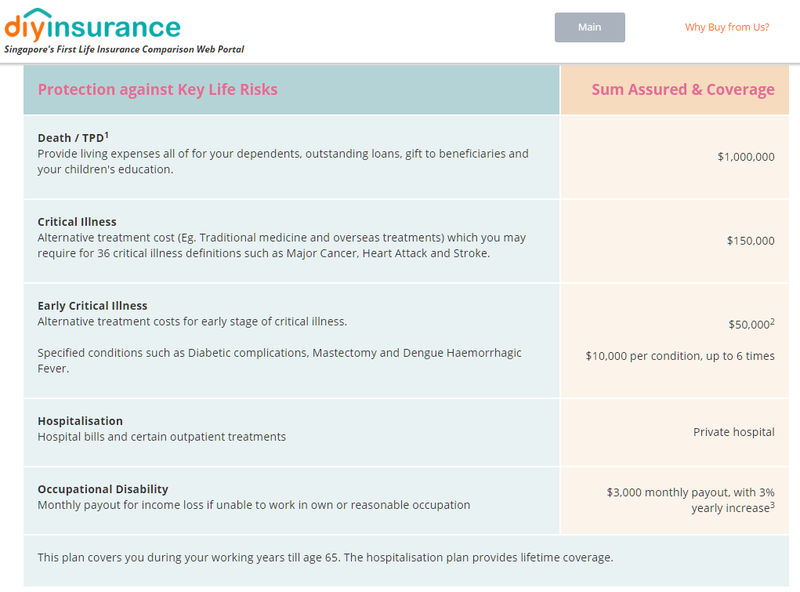 What kind of insurance does an actuary actually buy for his and his family? Insurance are often sold with economic bias so what better way to know then find out from people that use actual data and determined it through quantifiable methods. I heard that actuaries often buy only term life insurance only and that investment linked and limited whole life policies do not make sense. At the same time, it would seem that the way you can claim critical illness is such that most of the time you can claim it, you are almost very disabled or near death. In such a scenario wouldnt [sic] a pure death and tpd [sic] term life be suffice? This is my opinion, given my dealings among actuaries. I could be wrong. Actuaries avoid complexity in insurance products. Why? In general, complex products hide high profit margins. 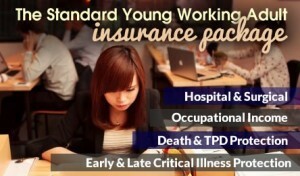 Products that are easy to analyze, like term life insurance, are competitive, and profit margins are low. The same is true for savings products, like deferred annuities. Actuaries tend to buy simple products that cover basic needs. Also, they tend to use insurance as catastrophe cover, because they know that having insurance companies pay on a lot of small claims is expensive on average. There is an exception to all of this. If you are so rich as to need to stiff the taxman, buying cash value insurance policies can make a lot of sense. In that case, wealthy actuaries with clever tax advisors buy cash value life insurance. Death benefits do not pass through the estate. Actuaries are generally conservative, and avoid insurance products that are not easily analyzed. That should be true of most insurance buyers. I think that’s why my AIA insurance agent kept selling to me that his well heeled clients buy a lot of endowments. We wonder whether many of us are in the same situation. Whatever it is, the common myth in a person not knowledgeable in insurance is cheap equals lesser benefits. This sort of debunks it since guys factor in multi factors in their computation. Then again I could be wrong since there may be some important factors that were assumed, which could be gravely wrong when put into practice. In fact, they don’t buy a lot of insurance! Actuaries are well trained professionals who help insurance companies balance the risks of insurance product versus an effective value that consumers will be willing to pay for it. So what do most actuaries buy to insure themselves? “I asked an actuary (someone who designs insurance products) who had left an insurance company what he buys for himself. 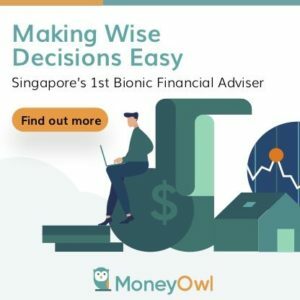 Like many former actuaries I have spoken to, he said he would never buy an investment-linked plan or a whole life plan as it is just too expensive and doesn’t make sense. He has protected his family with term plans. So, if the chef doesn’t eat his own cooking, why should we? He basically told me that if I am a financially sound person, I am throwing my money away on life insurance unless I meet a few strict criteria (young, a relatively low net worth, and young children). This kind of blew me away considering he’s in the life insurance business, but when he broke it down for me, it made a lot of sense. Note that the advice that follows is based on a conversation between friends and shouldn’t be viewed as professional advice and you shouldn’t just follow it blindly without doing your own research, but it is quite interesting and worth sharing. The people that systematically access risks through quantitative means questions the viability of expensive insurance, probably assessing that the probability to make a claim versus how much you pay for it isn’t worth it. Why then do we do the opposite most of the time? I got a call at work today from my first insurance agent. He thinks it’s a good time to do an annual review of Drizzt’s insurance and investment portfolio. For those who are new to my blog, you might want to read my insurance philosophy, why I don’t like endowment plans. Now let me just say that it is absolutely necessary to do this kind of review. 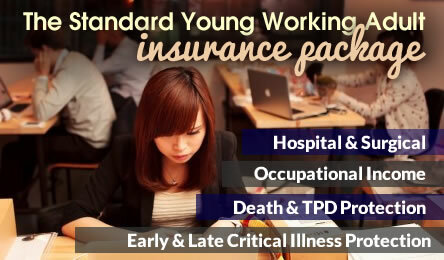 Your life, goals, risks and dependents changes so you might need these policies. My agent knew from past experience that I do my own investments and believe very much in using term life insurance to hedge my risk. My agent, unlike many new agents (he is experienced with 13 years in the industry) doesn’t believe in ILPs. This is especially so after the great financial crisis in 2007. Many folks who have bought ILPs have seen deep drawdowns in the value put in not to mention high distribution costs. He have been advising me for 2 years and this will be the third year. He finds that it is such a waste for me paying all those premiums and not getting any money back. He would advise that I purchase either a G10 or G15. Now folks who are not familiar with G10 or G15, I would explain that they are limited whole life plans where you pay 10 to 15 years and then you can stop servicing the policy and would be able to own the coverage. This is not the first time recommended to me and you can read all about it here where I complain my difficulty in calculating these limited whole life policies. Now If you are going to convince Drizzt to buy a limited whole life its not going to be that easy since Drizzt is not your normal gullible client who will likely agree with most points you have presented. So here are some of the points he highlighted to me why I need these policy. What he explained is that, many rich and affluent clients of his still buys endowment policies from him. The main reason is that should they get sued or undergo some form of litigation and get bankrupt, they will still have their insurance policy to fall back on. that endowments cannot be liquidated to pay for the litigation and the insure will have this to fall back on. Number 2 is entirely new to me, and I hope other insurance advisor to say this is otherwise. I think this is very powerful. When you have a client that is savvy, reference to people that you have successfully sold to, are successful and where your client aspires to be at. Savvy people are always thinking what more they can do to put their money into good use. And the rich loves to leverage. Say for example the rich wants to divide a sum of 6 million dollars among 5 sons for 1 million each. Dividing it up by giving each son 1 million will result in only 1 million left for the rich man. With insurance, the rich man can use a portion of his wealth to purchase an insurance that will provide a sum assured divided equally upon death to his sons. People like Drizzt tend to count their pennies quite a fair bit and usually this argument works best as well with term life insurance versus whole life insurance. It might be true that you will have a networth of 100k-400k cash. Cancer is one of the big killers in Singapore and if you suffer from it, your 300k coverage might look a lot but you will have to think that should you deploy half of it for treatment and you survived, you cannot work at 100% capacity. Because of that your income falls or you might need to stop working for some time. Should there be a relapse, you will not have another CI policy to fall back upon. Possibly this will work on Drizzt since you are playing on his fear of seeing his hard earned assets plunge to nothing. At how much would it be enough to insure against this scenario? how much is really enough? Given that this amount in (1) to be substantial, do we think Limited Whole Life would be able to cover that big of an amount for a average earning family? Life is great for a lot of reasons but at some point it will throw a nasty spanner at you. Even if you have a good job now and have a good buffer you really do not know what will happen down the road. While you will lost a lot of your wealth with an insurance policy it becomes the last line of defense. So his advice to at least save 10% of your disposable income for this. If life were to throw a different spanner at you, you may lose this life insurance policy. At the end of the day, we can argue all day long and still a series of unfortunate will just killed your policy. If 10% of your disposable income comes up to $400, you will only be able to purchase a limited amount for insurance. Saving a very little amount in Limited Whole Life insurance for me do not make much sense when u already have that amount in cash already. I think the crux of this article is not to teach an insurance agent how to sell it to increase sales, but to think through whether persuasive arguments make sense to you. At the end of the day, Drizzt is not really savvy in insurance. He just know a little bit more than the average folks in the street. I do take what my insurance agent presented and evaluate at night. Limited whole life should not be part of the majority of your insurance due to cost constraint. Cost is a big consideration when choosing which Limited whole life to purchase. What do you guys think? 4 valid arguments?